I am slowly starting to use my crock pot a bit more often. So far I am loving it for shredded or pulled meat - beef, chicken, or pork. 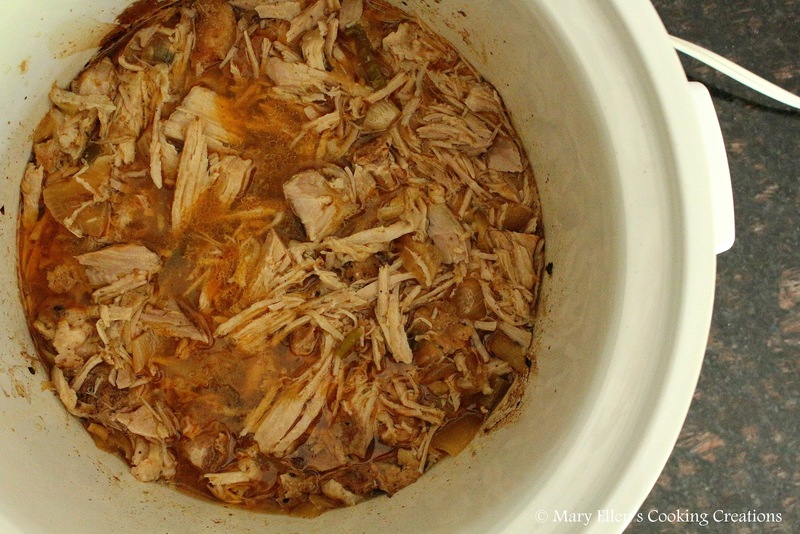 The crock pot makes it so tender that it just falls apart with 2 forks - barely any effort required! Last week I made pork carnitas in the crock pot. 5 minutes to get it cooking? Yes, please! Even better, it only requires a few ingredients. The most important step, in my opinion, was browning and crisping the pork after shredding it. I loved the added texture and crunch from the caramelized brown bits on the pork. 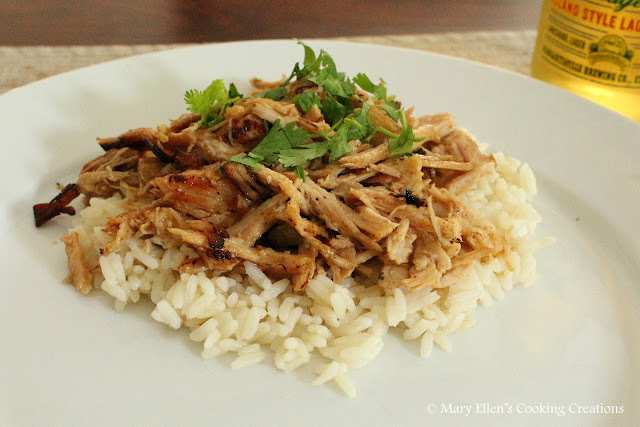 Once I browned the pork I served it over rice with some fresh cilantro. Next time I will make some nice street style tacos with the meat, queso fresco, pickled red onions and cilantro. I cut the recipe in half and used a different cut of meat. The ingredients below are based on how I made the pork. Mix the oil, oregano and cumin; rub all over the pork. Place the pork in your crock pot, fat cap up. Top with the onions, jalapenos and garlic, and then pour in the orange juice. Cook on low 8-10 hours or high for 6 hours. Skim off the fat and shred the meat using 2 forks. Keep warm. When ready to eat - heat 1 tsp olive oil in a sauté pan (stainless steel preferred). Add one serving of pork and cook until the bottom side is golden brown and crusty. Serve over rice or in tacos. Use the extra juices if you'd like and top with cilantro.